At last. This news is been sitting on my mailbox for days and I just got the chance to check it. 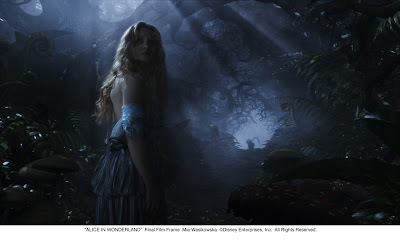 I'm surprised that its is about the upcoming Tim Burton movie, Alice in Wonderland. Yey!!! 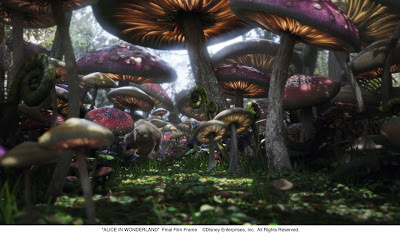 From Walt Disney Pictures and visionary director Tim Burton comes an epic 3D fantasy adventure ALICE IN WONDERLAND, a magical and imaginative twist on some of the most beloved stories of all time. JOHNNY DEPP stars as the Mad Hatter and MIA WASIKOWSKA as 19-year-old Alice, who returns to the whimsical world she first encountered as a young girl, reuniting with her childhood friends: the White Rabbit, Tweedledee and Tweedledum, the Dormouse, the Caterpillar, the Cheshire Cat, and of course, the Mad Hatter. Alice embarks on a fantastical journey to find her true destiny and end the Red Queen’s reign of terror. The all-star cast also includes ANNE HATHAWAY, HELENA BONHAM CARTER and CRISPIN GLOVER. Capturing the wonder of Lewis Carroll’s beloved “Alice’s Adventures in Wonderland” (1865) and “Through the Looking-Glass” (1871) with stunning, avant-garde visuals and the most charismatic characters in literary history, ALICE IN WONDERLAND comes to the big screen in Disney Digital 3D™ on March 4, 2010. Disney has provided new first-look images from the eagerly anticipated motion picture. Below are the descriptions of the newly released images. 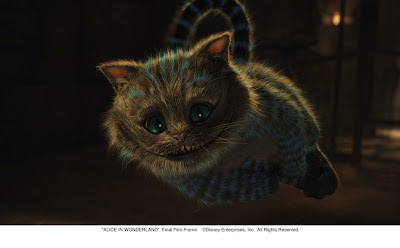 CHESSUR, THE CHESHIRE CAT (voice of Stephen Fry) is a dapper tabby with the ability to appear and disappear. He is all calm, casual sensuality with a seductive grin that masks his cowardice. It’s the cat’s disembodied head that first appears to Alice in Tulgey Wood after she’s been attacked by the vicious Bandersnatch. He offers to purify the gashes on her arm by licking them. 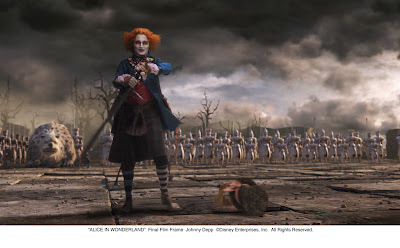 Alice declines, although she allows him to lead her to the Hatter’s Tea Party where the Hatter blames him for deserting them on the day the Red Queen seized control of Underland. Using his skills and the Hatter’s coveted top hat, Chessur later finds a way to redeem himself. 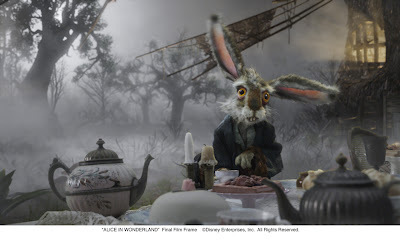 THE MARCH HARE (voice of Paul Whitehouse) hosts the Mad Hatter’s Tea Parties at his Hare House. Paranoid, anxious and slightly insane, he constantly wrings his paws and ears and has a thing for tossing teapots and other items. He has a penchant for cooking and is one of the few Underland inhabitants to escape the Red Queen’s clutches all together. Wow this is indeed a big reveal. Now I'm more excited to see this film. Watch out for new updates specially for the part 2 of this exclusive surprises from Disney coming soon. Pa-gamit sa blog ko Jori ha?